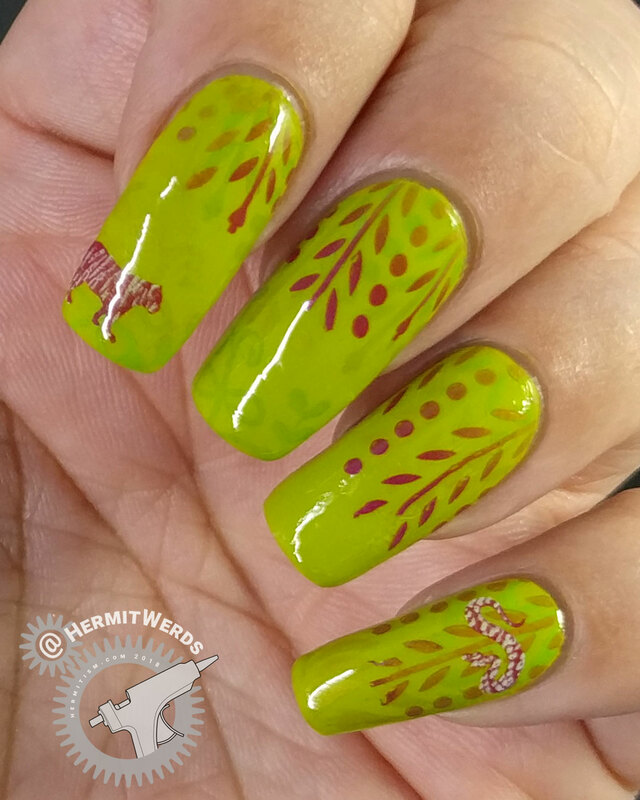 Today I have a beautiful melding of two challenge prompts: #WhenColoursCollide’s Chartreuse + something and #NailChallengeCollaborative’s Inspired by a Book. I knew I wanted to combine these two prompts, but I didn’t have a particular book in mind yet. 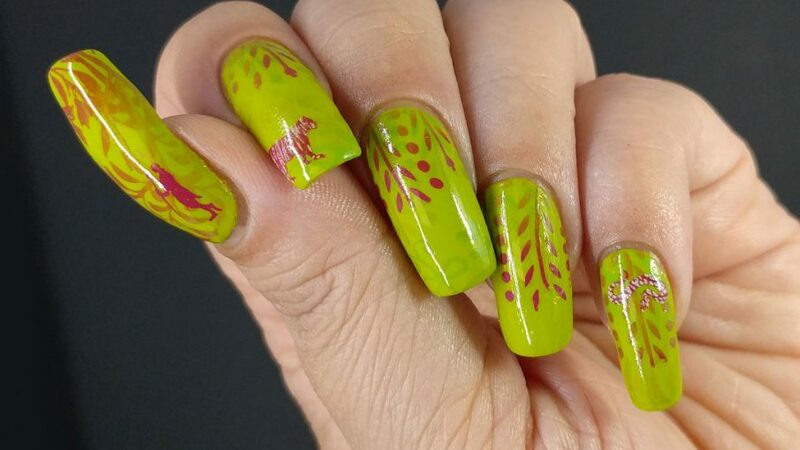 I needed to be careful because Chartreuse had to be the clear main color so I started digging through my stamping plate collection for inspiration. I have now stamped with two different vine patterns in about the same layered way. While the image on YZW-N001 was more convenient because it is already filled in, I prefer the ones on YZWLE-19 that I used on Monkey Business. The pattern is both more compact and varies more in length so it’s more visually interesting. I will probably only use the vines on YZW-N001 again if I want a full nail vine pattern, which is something I haven’t done yet. 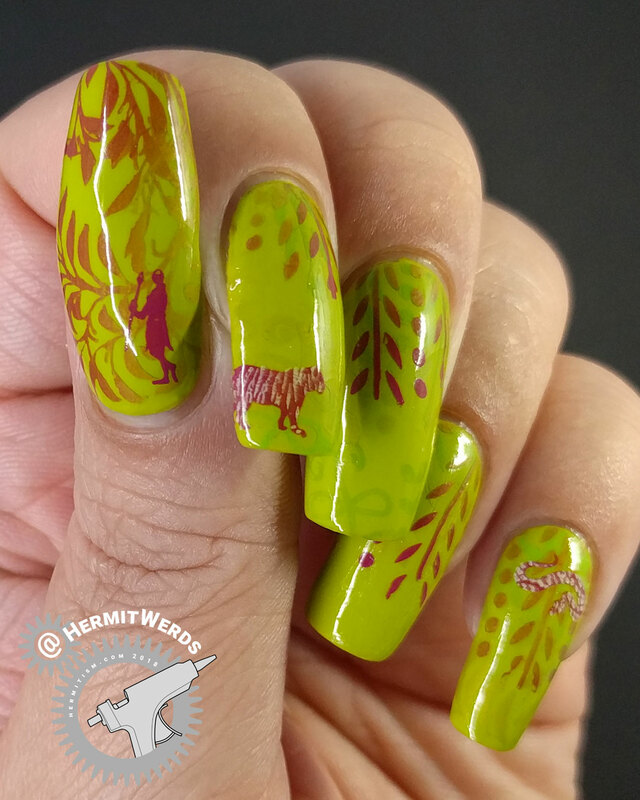 But that could look really good with a tropical bird mani. 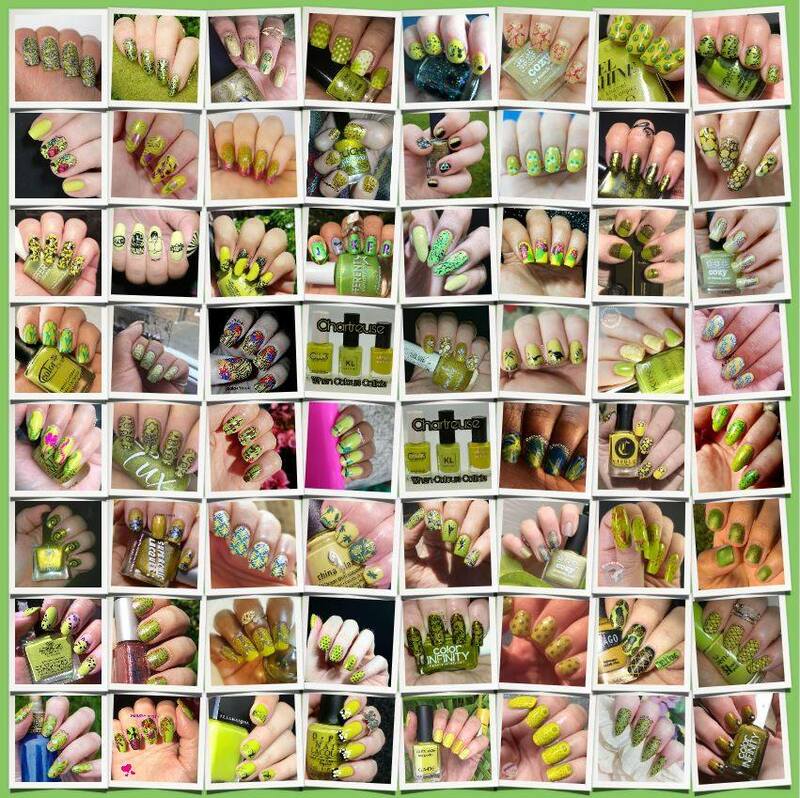 Finally, check out the collage of all the chartreuse nail art from #WhenColorsCollide. I’ve always loved this color, so how beautiful it all is is no surprise to me!